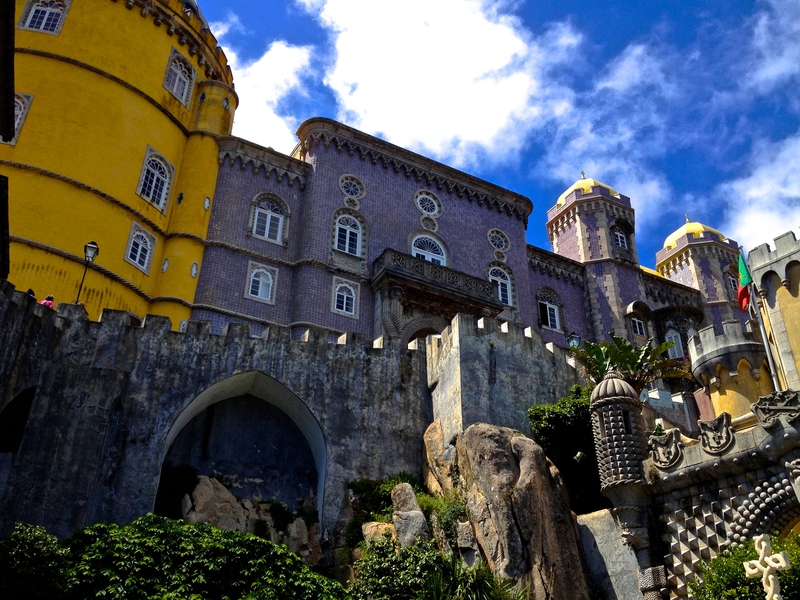 The Pena National Palace, a UNESCO World Heritage Site, sits on a hill above the town of Sintra. In fact, on a clear day, it can be seen from the city of Lisbon, about 18 miles away. Not sure what drugs King Ferdinand II and architect Wilhelm Ludwig von Eschwege were on, but the palace is known for its wild colors (purple, pink, red, yellow) and gothic/moorish / baroque architecture – basically all over the place. It was completed between 1847 and 1854 as a summer house for Portugal’s royal family. It is thought that the architect for the Pena Palace was inspired by the Neuschwanstein Castle in Bavaria, Germany, however, construction for Neuschwanstein did not begin until 1869, years after the Pena was completed. 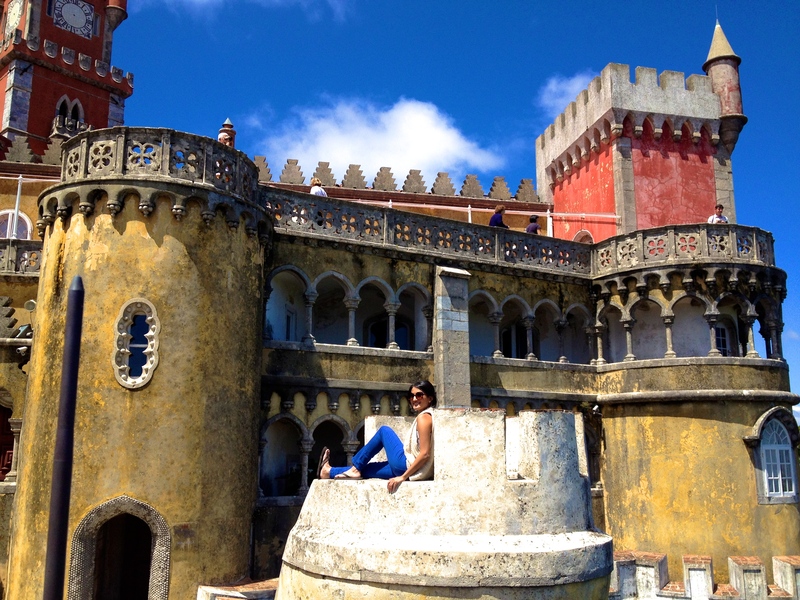 The town of Sintra is about a 30 minute train ride from Lisbon and can be easily done as a day trip (leave early if you want to also visit the Moorish Castle and the National Palace in Sintra). After arriving by train in Sintra, the Pena Palace can be reached by bus, which is a good idea on the way up as it is a steep climb. On the way down, stroll through the Pena Park which is a forested area surrounding the palace. Click here for information on all three sites.